• First, ask your butcher for a 3.3-pound well-marbled bone-in ribeye in vacuum packaging. The bone is important, because it helps to keeps the meat moist. The vacuum part is important too, because it will avoid oxidation. • Put the meat out of the fridge at room temperature (not in a hot room, just normal temperature) for 24 hours inside the vacuum packaging. Don’t take it out! It’s important you do this step to have the perfect result. • On a large, very hot non-stick pan, add a bit of olive oil and put the steak in 3 minutes on each side. Don’t move or lift the steak after you place it. Just let it be and flip it when it’s time. • Take it out the pan and put it on a metal rack to rest for 10 minutes. 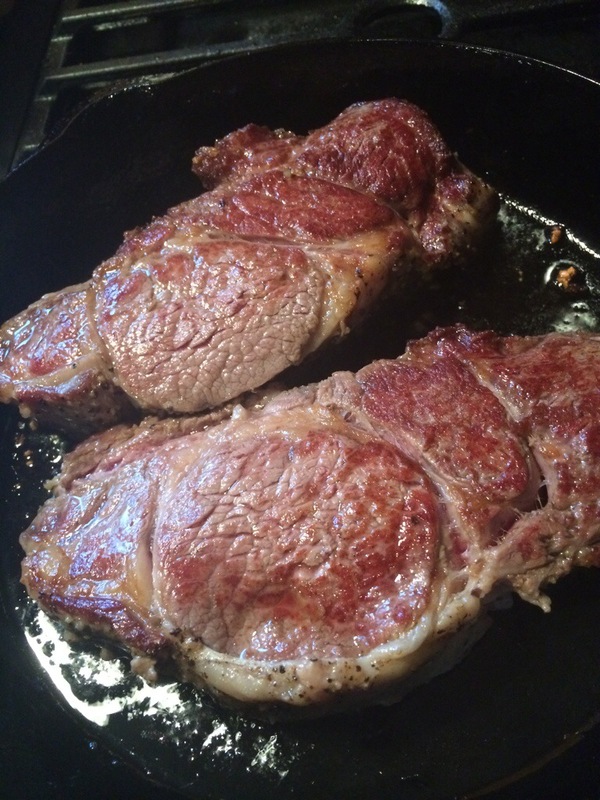 • Let the pan heat up again to the max and put the steak back in 2 minutes on one side. • Flip the steak and add 3.5 ounces (100 grams) of butter. Continuously pour the resulting melted butter mixed with the meat juices over the top for another 2 minutes. • Cut in filets and sprinkle some good quality sea salt like fleur de sel or Maldon. Next My daughter is growing up too fast!